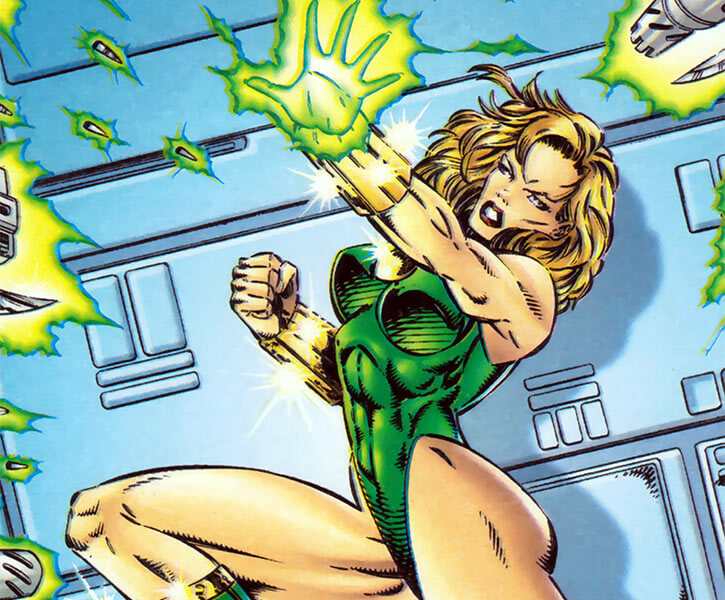 The forgettable Stasis was one of the early Image Comics characters. 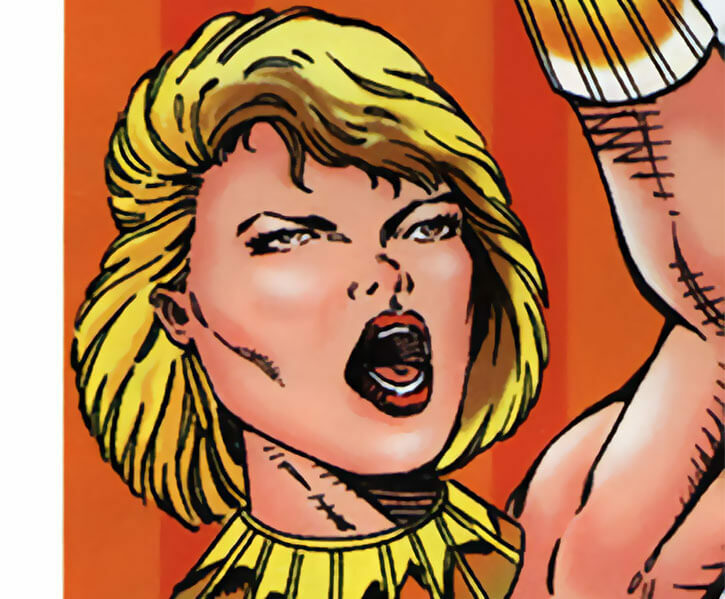 She appeared in 1992, as Rob Liefeld’s Brigade launched. It was awful, it went nowhere, and it sold by the truckload – the comic books bubble of the early 1990s was a peculiar time. Back then the Image books still formed a single universe. It would later splinter into different continuities over “creative differences”. Stasis was generic and under-utilised. But she had an unusual power, and her genericness means that she’s easy to reuse in other context. Height: 5’6” Weight: 110 lbs. Stasis can weave “anti-motion fields, effectively neutralising all kinetic energy within the target zone”. Erecting such a field requires significant concentration, and she stays largely immobile and gazing at her field. Apparently, gesturing helps set up the field. Particularly powerful opponents can beat her field, though. Stasis was in good shape and somewhat athletic, but not remarkably so. Basically, she’s an area-of-effect debuff -bot. No wonder her player got bored and exited the campaign. Katherine Pearson reportedly received her powers during an alien abduction. Her captors experimented on bio-generated energy manipulation. When Battlestone and Kayo assembled the Brigade superhero group, she was the last to be recruited. She soon proved to be an important tactical asset. 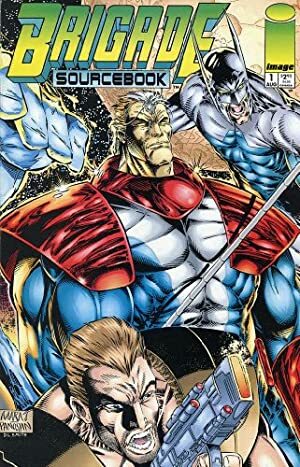 Stasis was part of the first documented Brigade operation (a mostly botched strike against hostage-taking terrorists), and was then caught in a fight against alien prince Genocide. Along with the team she was teleported to Genocide’s home world, D’vor. They eventually made it back to Earth after three months in space. Team member Atlas was killed whilst escaping from D’vor. Just as they landed and exited their spaceship, Brigade was ambushed by the Bloodstrike governmental team. A priority target, Stasis was shot between the eyes before anybody could realise something was going on. Battlestone’s subsequent attempts to resurrect Stasis was foiled by Bloodstrike operatives. Stasis seemed to be reserved, perhaps even a bit shy. She was far from being gung ho, and usually spoke up to express doubts and ask questions. After three months with the others in a small spaceship, she was fed up with the team. She rightly saw them as macho idiots, and sycophants to the macho idiots. She had in fact quit the team seconds before she was shot, making her murder even more gratuitous. Friction control is its own AV (+1 or +0 depending on house rules). Friction control only to increase friction, only to reduce movement. Friction control does not inflict damage even when “unknowingly entered”. Against projectiles, use Speed/Weight as the OV/RV vs. Friction Control. Kinetic kill projectiles generally have their EV diminished by one AP per AP of Speed lost through Friction Control. Friction Control affects a Volume and not an Area, and has a special +5 Volume Bonus. Friction Control eats up all Dice and Automatic Actions as long as it is active. The Friction Control field can be collapsed (see below). Superhumanly powerful opponents can strain against Stasis’s anti-motion field with enough power to suddenly collapse it, resulting in an explosion of pure kinetic force. This is a STR/STR check against Friction Control/Friction Control. If the immobilised person gains 10 or more RAPs (Stasis’ APs of Friction Control), the field explodes with some force (Bomb: 04). Alternatively you can allow the trapped person to accumulate RAPs from Phase to Phase to gain the 10 RAPs. But then Stasis should be allowed to roll Friction Control/Friction Control against the person’s STR/STR and use her own RAPs to cancel the RAPs of the opponent.